Last month I focused on the work of Ryu Murakami, this month I’m turning my attention to Joe Hill. It’s unlikely you’re unfamiliar with Joe given the numerous awards he’s received for his work, the film adaptation of Horns, and his successful comic book series, Locke & Key, which was recently adapted as an audio drama featuring Tatiana Maslany and Haley Joel Osment. Still, just in case you’re reading this after hibernating for a couple of decades, let’s find out a little more. 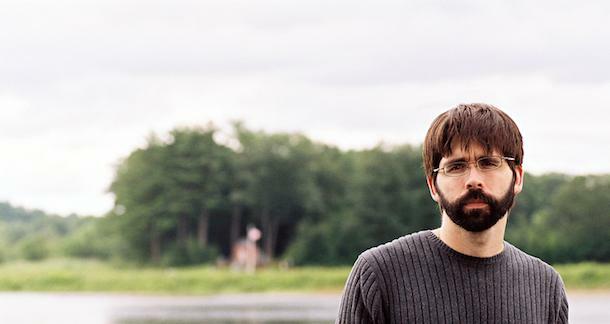 Joe Hill was born in Hermon, Maine on 4 June, 1972. Joe is a novelist, short story writer and comic book writer. He’s also the second child of Stephen and Tabitha King. Joe Hill has received multiple accolades for his work including the World Fantasy Award, Ray Bradbury Fellowship, and Bram Stoker Award. His short story collection 20th Century Ghosts was published in 2005, followed by the novels Heart-Shaped Box (2007), Horns (2010) and NOS4A2 (2013). His forthcoming novel, The Fireman, is due to release on May 17, 2016. What did I spend my month reading? Heart-Shaped Box follows fifty-four year old aging rocker, Judas Coyne. Hill’s aging rocker hits all the obvious marks without becoming too much of an archetype and often employs dark humour. Amongst Judas’s hobbies is a penchant for macabre memorabilia. His collection includes a real snuff film, Aleister Crowley's childhood chessboard, and sketches from everyone’s favourite clown-faced serial killer, John Wayne Gacey. The setup of Heart-Shaped Box is a simple one. Judas receives a message enquiring as to whether he’d like to buy a dead man’s funeral suit. The real deal-sealer is that the old man’s ghost is attached to the purchase. Not one to shy away from morbid delights, Judas is quick to purchase the suit, and so it arrives in the titular heart-shaped box and the real fun begins. As with all good ghost stories, the spirit is tame to begin with but it isn’t long before its real murderous intentions are revealed. Heart-Shaped Box provides a compelling and believable (as far as these things go) narrative that tidily provides a motive for the apparition that haunts Judas, weaved nicely into the protagonist’s own questionable past. It’s a fast-paced, tense read that lacks the layers of Hill’s later work, but the prose is delicious and it serves as an excellent introduction to the author, accomplishing everything it sets out to achieve. Horns focuses on Ig Perrish, whose girlfriend Merrin was recently raped and murdered. Ig is the prime suspect. After a night of heavy drinking Ig wakes up to find he’s grown a pair of horns. As he leaves his apartment to get on with his daily life he notices everyone is being incredibly honest with him and divulging their darkest desires, fantasies and thoughts. Inevitable awkwardness for Ig and hilarity for the reader ensues as Ig’s day progresses. We also learn that once conversations with Ig end the participants forget about both what they’ve confessed and the existence of the horns protruding from Ig’s head. Unfortunately for Ig he cannot forget. The inhabitants of his hometown, Gideon, New Hampshire, make it clear through their revelations and honesty that they believe he is responsible for Merrin’s death. Ig decides to use his new power to discover who really killed the love of his life. Horns strays a little further into the fantastical and away from horror than Hill’s other novels, but it’s also arguably his best. At its heart Horns is about relationships and politics between friends, families and lovers. It’s a love story that details Ig and Merrin’s romantic journey, but it also shows the complexities of Ig’s fractured family life and the troubled lives of Ig’s closest friends and acquaintances. 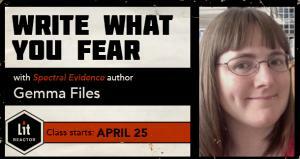 It forces us to confront our own fears and consider what it is we would disclose if our darkest desires were exposed. Sometimes we think it would be advantageous to know what someone else is thinking, but in Horns Hill provides a counter argument and depicts just how ugly things could potentially get. 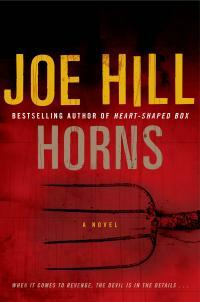 Horns is another five-star read from Joe Hill and if I were pushed to choose a Joe Hill starting point this is it. NOS4A2 and the publicity that surrounded it without a doubt forced anyone unfamiliar with Joe Hill to stand-up and take notice. This Is Horror were even part of the push when Dan Howarth interviewed Joe Hill on the This Is Horror Podcast. 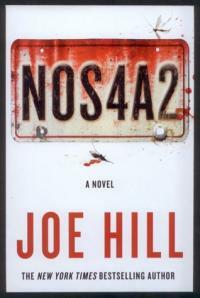 While there are few critics who would argue against Horns as a Joe Hill masterpiece there seems to be more division over NOS4A2. I sit proudly in the pro-NOS4A2 camp and would go as far as to describe it as one of the highlights of 2013. It’s a meatier tome than Hill’s previous efforts, at over seven-hundred pages, but is tightly edited and story-centric throughout. As with Horns, NOS4A2 is a nonlinear narrative that takes place over several decades. NOS4A2 is a classic horror story of good versus evil where the evil takes the form of Charles Manx, a convicted child abductor, and his 1938 Rolls-Royce Wraith. Manx entices vulnerable children into his Wraith with the promise of ‘Christmasland’, a place much more sinister than its attractive title, and incredibly difficult to locate. You see Christmasland isn’t really in this world. Enter protagonist Vic McQueen. A young girl who has the special ability to find things and access hidden worlds, via the Shorter Way Bridge, when pedalling on her Raleigh Burner. Vic initially encounters Manx as a young girl but she manages to escape him. Not one to cross, Manx exacts his revenge years later when he returns to steal Vic’s son, Wayne. NOS4A2 may be a fantastic horror novel, but it’s also a coming of age story that explores the themes of childhood innocence and adult experience while also examining compassion, humanity and the lengths we will go to protect the people we care about. Of all of Hill’s work this is the one that feels, in both style and execution, most like a Stephen King novel, but Hill is very self-aware of this, even referencing his father’s work. Hill nods towards The Stand, The Shawshank Redemption and the Dark Tower series, amongst others. Yet perhaps most delightful of all is the phone map that includes ‘Pennywise’s Circus’. Another strong showing from Hill which, alongside Heart-Shaped Box and Horns, demonstrates his versatility as a writer. This solid, inventive, scary collection of stories reveals a writer who has thought hard about the problematics of horror. A gripping account of the shattered Locke family's attempt to rebuild after the father/husband is murdered by a deranged high school student and the family subsequently moving in with the deceased father's brother at the family homestead in Maine. So now it’s over to you. Which is your favourite Joe Hill story? Are you looking forward to The Fireman? That explains why Locke And Key is so slow. On the other hand, amazing. Didn't know he was the son and Steve and Tabitha. Didn't like Horns at all. Love Locke and Key though still never read all of last series. That said, The Fireman sounds pretty cool. Might have to get it. Cannot wait for The Fireman. I have high hopes Joe Hill will deliver once again.